August, the best month of the year. Am I biased because that’s when my birthday is? Of course not. August is a time for the big end of summer parties where you invite your friends over for a big last-of-summer BBQ, and go to the Indiana State Fair, and the exciting adventure of back-to-school shopping. In my mind, the color of Peridot, August’s birthstone, represents the month perfectly. A vibrant green says “It’s still summer, and I’m going to enjoy every last second of it.” That’s why I love it. A little known fact about Peridot is that it is actually found in meteorites from time to time. Another lesser known fact about August’s birthstone is that there’s another birthstone called Sardonyx. As you might guess based on the name, it is a specific variation of the classic Black Onyx. The prefix Sard means shades of red, so Sardonyx is a variety of black onyx with very pretty, deep red striations throughout. Sardonyx is less expensive than Peridot, so if you’re keen on finding a gift for a friend of yours that has an August birthday, this is a good way to get her a piece of jewelry without breaking the bank. Peridot on the other hand makes an ideal gift for a couple’s 1st and 16th Anniversary. The birthstone Peridot meanings range for wearers of this gemstone and have been known to associate Peridot with receiving good luck, peace and success as well as good health and protection. 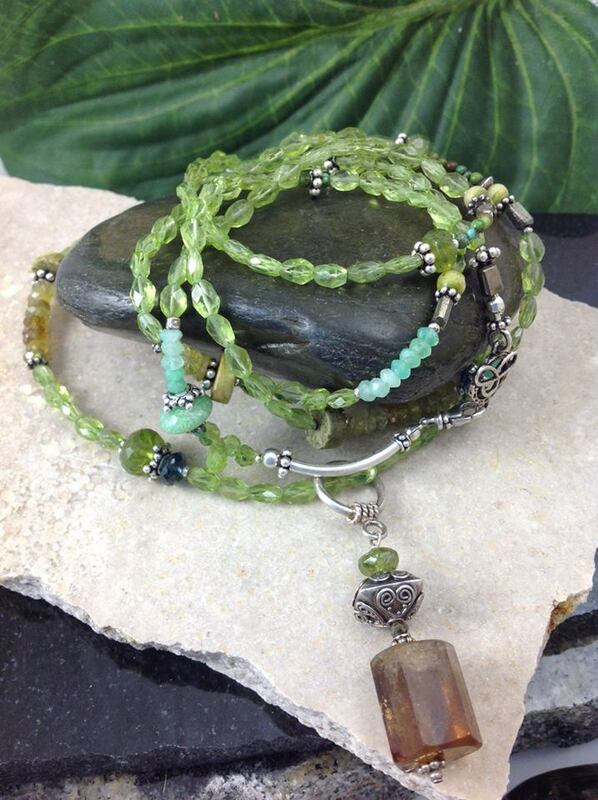 The Ancient Romans also called Peridot the “evening emerald” and believed the stone glowed in the moonlight. >> Whatever stone you love, or want to get for a friend, stop by Midwest Jewelers and Estate Buyers. We have a Gemologist on staff that can answer any question you might throw at him about precious and semi-precious stones. Just ask for Mark. If your birthday is in August, happy birthday! We can’t wait to see you. Pictured below is a fabulous Peridot necklace by Jill Duzan, available at our jewelry store in Zionsville, Indiana. Stop by and see this and other birthstone jewelry we carry!